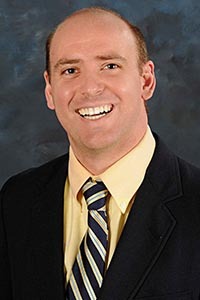 Dr. Scogin grew up in Monroe and is a graduate of ULM and the University Of Houston College Of Optometry. He is committed to providing comprehensive personal eye exams to all patients. His training included the very latest techniques in optometry and he continues to explore new advances in eye care. Dr. Scogin aspires to the new generation of partnerships between optometrists and ophthalmologist in order to provide patients with better treatment and follow-up.